A Pathfinder Society Scenario designed for 10th-level PCs. 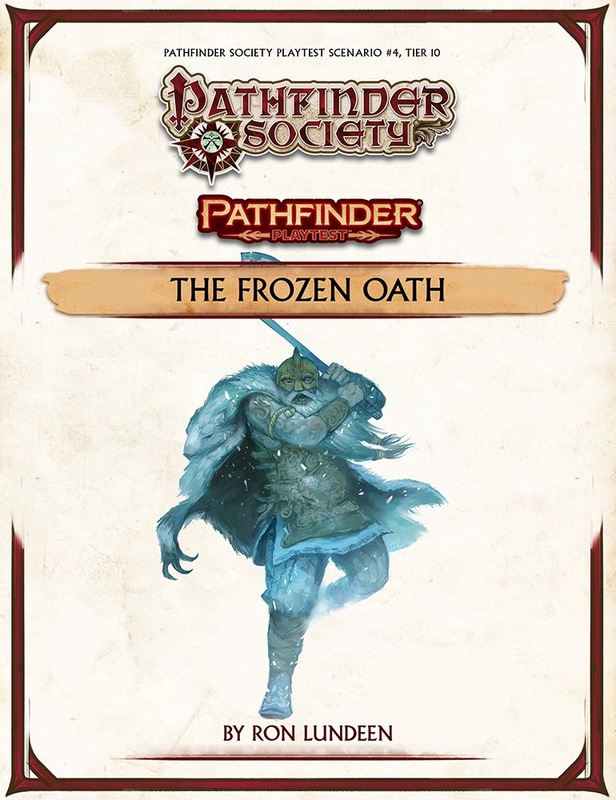 The Pathfinder Society has hired several teams of goblins to explore far-flung regions, and the sole survivor of a Frostfur goblin expedition recently returned from the icy Crown of the World with part of a stone tablet, a crude map, and incredible tales. 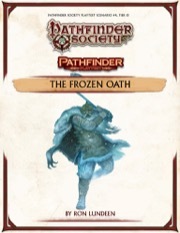 However, the surviving goblin's story and souvenirs point not only to the deeds of legendary Aganhei—the Tien explorer famous for having forged a trail across the arctic from Tian Xia to the Inner Sea region—but also to the mighty frost giant god Thremyr. The PCs are to retrace the goblins' steps and document a strange site that is crucial to understanding the northerly region's history. Note: This scenario includes no pregenerated characters. It is important to schedule this game with time to create 10th-level characters or create such characters ahead of time as part of the playtest process. Will be available for purchase approximately Tue, Aug 7, 2018.
but is still listed as unavailable. When can we get this, or do we have to fulfill some special requirement to get access to this? When is this coming out? I am scheduled to run it at a con in a few weeks. This should release at the same time as the other September organized play scenarios: September 26th. I see the date on the page off and will get that corrected. Making 10th level charactets will take hours! Pregens would have been a better idea.